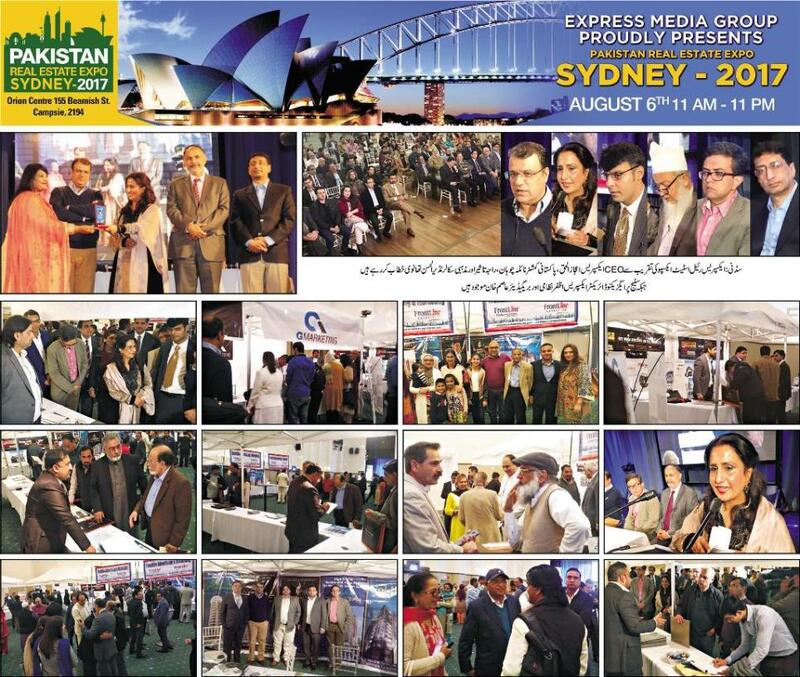 SYDNEY: A very successful one-day real estate expo was organised by the Express Media Group in Sydney, Australia.The event was inaugurated by Pakistan High Commissioner in Australia Her Excellency Naila Chohan. The CEO Express Publications Aijazul Haq, Executive Director Azfar Nizami, Express Group Associate Directors Sharmeen Khurram, Muneer Hussain, Kamran Ahmed, Saiful Azam Khan, Promotion Manager Nasir Mehmood Shaikh, Raja Taseer and a large number of Pakistanis attended it. They visited the stalls and said that it was a good opportunity to invest in Pakistan. They thanked the Express Group for selecting Sydney for the event. Chairman Fast Marketing Asghar Goraiya, Chairman Frontline Marketing Farasat Shah and CEO G Marketing Ghufran Mujtaba and Mosin Mujtaba informed visitors of their projects. Addressing the participants, Express CEO Aijazul Haq said that Express Media Group has held similar successful real estate expos in a number of countries including USA, England, Saudi Arabia and Dubai. Australia, he said, was an important country and Pakistanis living there were both educated and prosperous. “An expo is being organised to provide them with investment opportunities in Pakistan,” he added. He thanked the participating real estate organisations from Pakistan and prominent members of the Pakistani community in Australia including Raja Taseer, Nazirul Hasan Thanvi, Consul General Pakistan Abdul Majid Yousafani, Bushra Salam, Dr Shahbaz Chaudhary and the High Commissioner for attending the event. 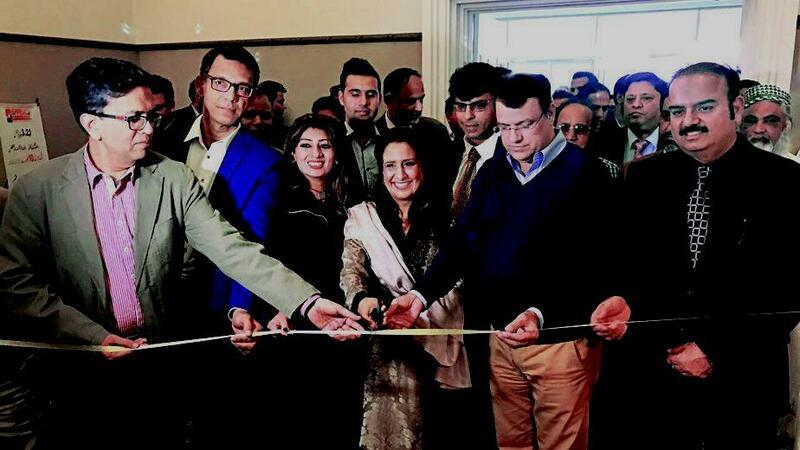 Pakistan High Commissioner in Australia Naila Chohan said that every Pakistani living abroad wishes to have a personal house back home but they fear to invest, lacking trust and this event will give them that trust because people have faith in the Express Media Group. Australia-based international programme organiser Raja Taseer said that he was pleased to welcome high officials of the Express Media Group management. He appreciated the group for holding this event in Sydney. Express Media Group CEO Aijazul Haq presented a memorial shield to Naila Chohan.